Greece is a country full of cultural and religious traditions – and one celebration which is a bit of both is Clean Monday or “Kathari Deftera. Let’s take a look at some of the ways that Greeks celebrate one of the most important days of the year. Clean Monday involves eating a feast which commences the 40-day period of Lent, or “Sarakosti” for the Eastern Orthodox church. The celebrations for Clean Monday always coincide with the first day of the 7th week before Orthodox Easter Sunday. The preceding Sunday people start off by attending a special evening service, asking for forgiveness to start off the Lent period with a clear conscious and clean soul. Also, Clean Monday brings to an end the Carnival celebrations that take place for around one month throughout the country in the time period leading up to the beginning of Lent. 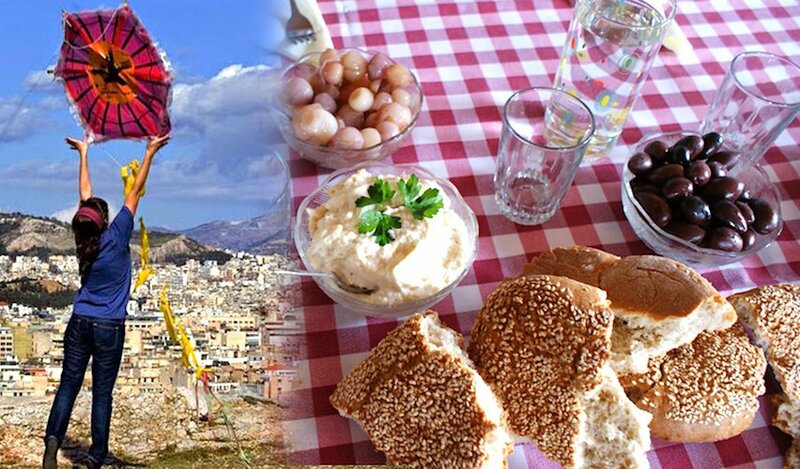 Food is also an important part of the Clean Monday celebration as Greeks participate in the traditional Orthodox Lent which forbids the consumption of meat, fish, eggs and dairy products. 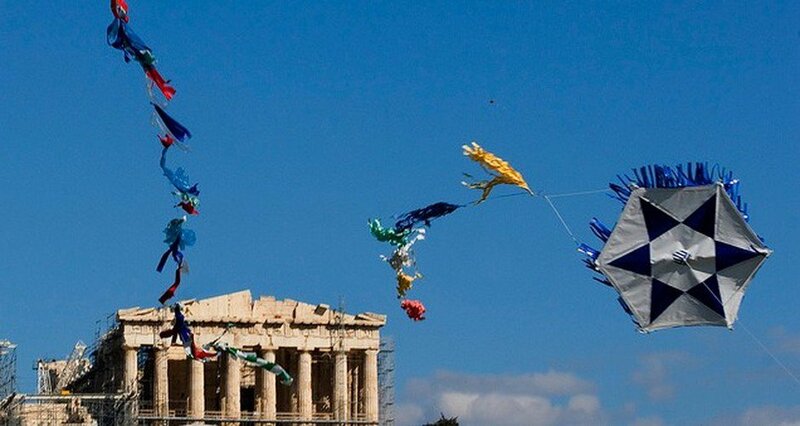 Greeks do many things to celebrate the coming of spring, such as wearing the Martis bracelet and, on Clean Monday, they also fly kites. Many people will set up shop along the roadsides selling kites as people head off to the parks and the seaside to fly them. The tradition of flying kites on Clean Monday takes place throughout the entire country.